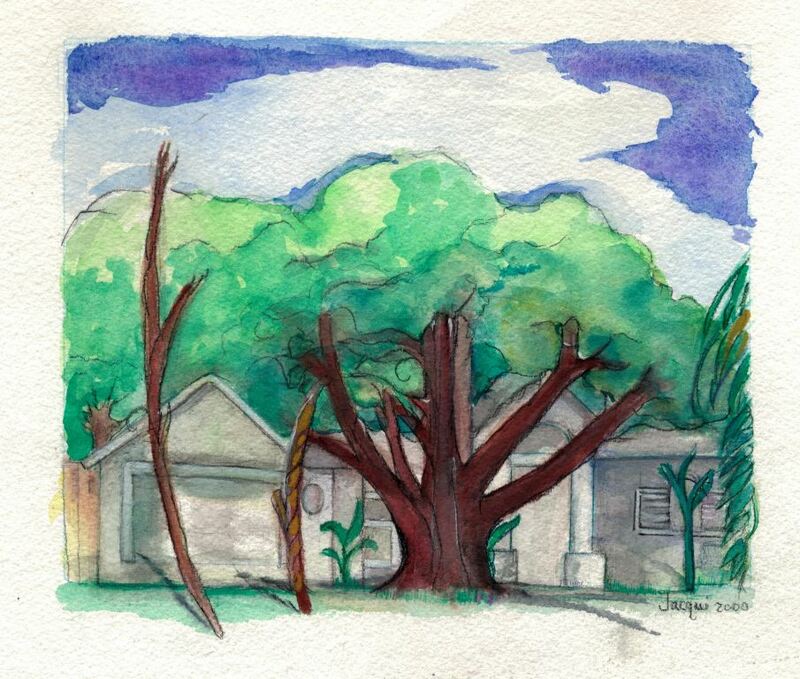 A watercolor drawing of the Kolb family home in Oviedo, Florida, in 2000. This item was drawn Jacqui Johnson, a neighbor of the Kolbs, as a gift for Julie Kolb, the matriarch of the family. 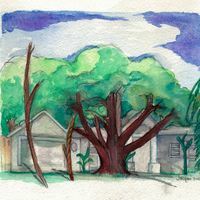 Original 7 x 9 inch watercolor drawing by Jacqui Johnson: Private Collection of Dane Kolb. Digital reproduction of a 7 x 9 inch drawing. Originally ceated by Jacqui Johnson. Copyright to this resource is held by Jacqui Johnson and is provided here by RICHES of Central Florida for educational purposes only. Johnson, Jacqui. “Kolb Family Home.” RICHES of Central Florida accessed April 25, 2019, https://richesmi.cah.ucf.edu/omeka/items/show/5203.